Wear it pink is one of Breast Cancer Now’s biggest fundraising events. On Friday 20 October, DataSpace were wearing pink, and helping to raise money towards life-saving research for Breast Cancer. With the help of a raffle, prizes kindly donated by several DataSpace employees we managed to raise £117. 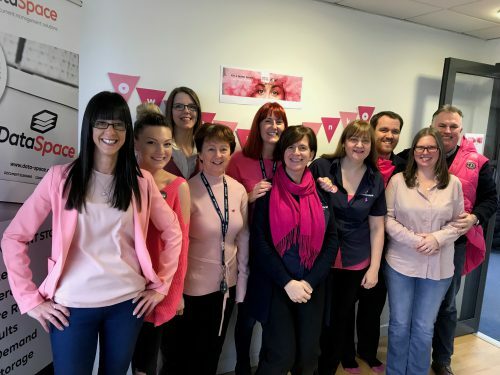 DataSpace a document and data management company based in the North West were proud to support ‘Wear it Pink’. We all proudly wore our pink Breast Cancer pins and decorated the office.